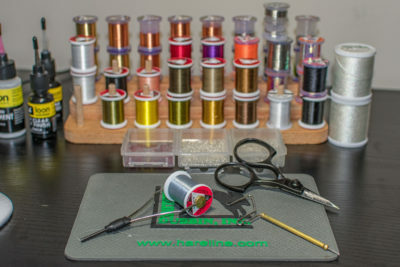 In the fourth segment of Tailwater Junkie’s fly tying tips, we are going to explore some options to keep your fly tying bench organized. 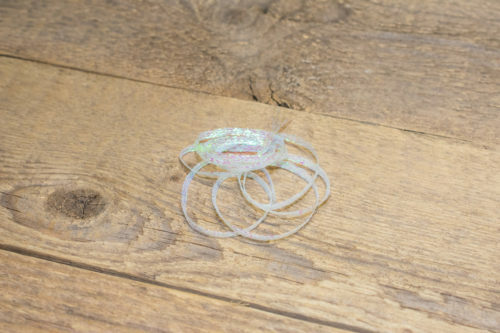 Keeping your fly tying area neat and tidy is key for an efficient workflow. If your tools, thread, wire, beads, hooks, and other materials are scattered all over, your productivity goes down! This is especially important for commercial fly tiers since time is money! 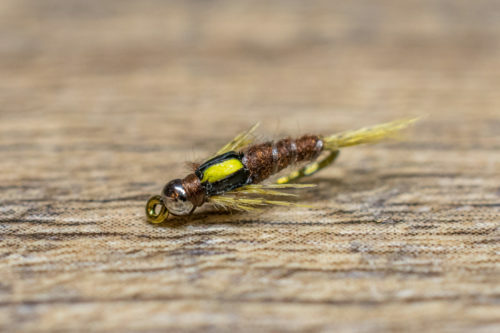 Few fly tiers have the luxury of a dedicated room for their hobby, but if you do, you should keep things organized with easy access from anywhere in your tying room. I recommend buying an office chair with wheels, so you can slide over and grab whatever you need quickly before returning back to your vise with minimal effort. I also suggest using plastic bins for your bulk materials to keep them organized and dust free. Unfortunately, the majority of tiers find themselves tucked into a small area, so a systemized approach is key. Small tying areas often require immaculate organization with ample storage to remain efficient. 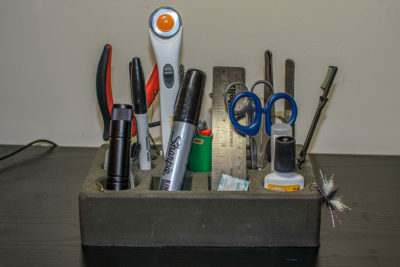 If you’re relegated to a small area, a tool caddy needs to be one of your first purchases! It allows you to organize your bobbins, scissors, whip finish tool, threader, bodkin, hair stacker, etc., so that you have easy and convenient access to them. 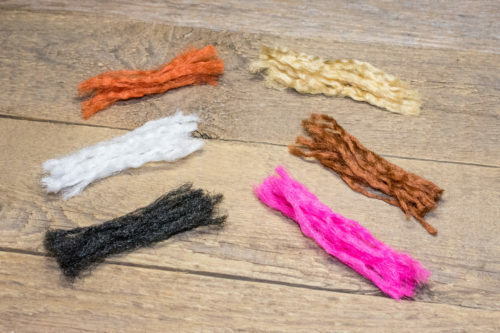 I also recommend purchasing several different bobbins so that you can have the most popular colors of thread and wire spooled-up and ready to use. You’ll minimize your downtime while increasing efficiency! Obviously, a tiers most important material is the hook! I like to store my hooks in a plastic container that sits right next to my tying desk. Putting all of my hooks in one container saves room and provides easy access to all of them at one time, rather than having to fumble through a pile of unorganized hooks. I keep all the same hook models together and organized by size. For instance, I keep all my Tiemco 5262’s together, starting at size 8. The largest hook size is on the top and organized in a descending order down to a size 18. I use a similar method when organizing beads – I keep all my tungsten, brass, and glass beads together, and organized by size and color. Clear latching storage boxes are a necessity when it comes to organizing your tying area. Not only do they save space since you can stack them on top of one another, but they also protect your materials from bugs, dust, and other contaminants. As an aside, it’s never a bad idea to put a single mothball inside each container to protect your investment. 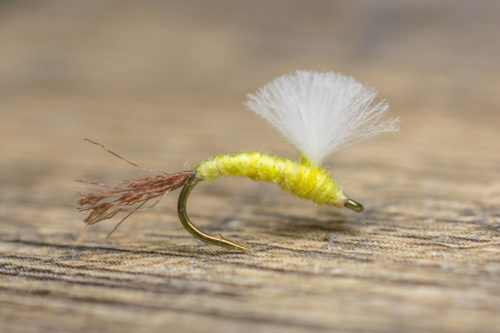 Come back next week to read our final installment on tying tips. Hopefully, these blogs have provided you with a valuable tip or two! 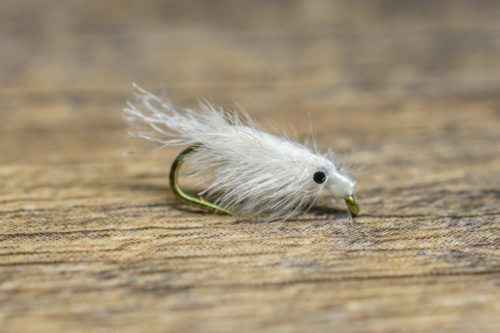 If Tailwater Junkie can be of any assistance whatsoever, please don’t hesitate to email us!